We loved the location! We walked into town every night for delicious dinners. We skied at Purgatory, which was about 1/2 hour away. Victoria asked us how we were doing through the week and responded quickly if we needed her. The space was great for a family of four. She kindly offered us a later check-out, which was great. So, we left 40 minutes after check-out time to go to the airport! Your family enjoyed the best of both worlds - exploring the mountains as well as downtown living. Thank you for your stay and review. 1. 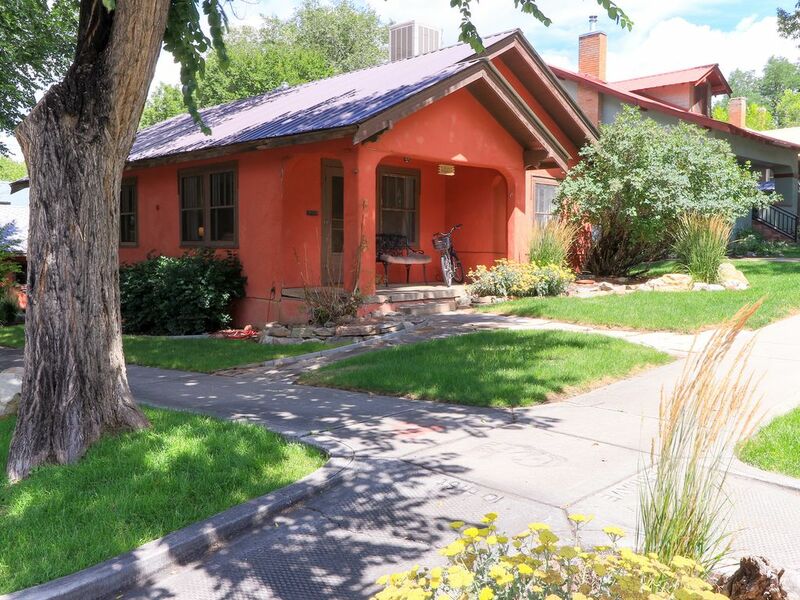 Great location -- in lovely and quiet neighborhood with easy walk to the historic downtown. 2. Very very very clean. 3. Nicely equipped kitchen. Good solid pans for cooking breakfast. 4. Conscientious hostess: Victoria checked in with us to make sure everything was okay. Prepared recommendations for making the most of our stay. 5. Great for a family. Well-laid out. Also, lots of HOOKS near the door and in the bathroom for hanging coats, bags, ski pants, scarves. 6. Even comes with a garage for your car. Thank you so much for your thoughtful and detailed comments! I love hooks, too! So convenient. And happy you enjoyed the peaceful neighborhood. It was great to have you stay. Enjoyed ourselves in Durango. Plenty of bed space for teenagers to spread out. Everything clean and functioned well. We cooked two nights of our stay and kitchen was well stocked. Arrival process was smooth and easy. Thank you. Happy to hear your kids enjoyed spreading out. Walking distance to town is ideal. This place is a perfect size, we’ll kept, lovely, and very clean. It’s an easy, short walk to the Main Street to enjoy all the shops and restaurants. I’ll definitely come back here! So happy you enjoyed being downtown. It was great to have you stay. Minimum of 5-night rentals may be made at anytime. Two-night rentals are available within 30 days of check-in. Festival weekends may be booked with a minimum 3-night stay or a small increase in nightly rate. Vehicles must be parked in garage, which is historic and suitable for standard-size vehicles only. Oversized vehicles cannot be accommodated. Payment is typically made in full at the time of booking for simplicity, but may be split into two with the second half due 30 days prior to arrival. Cancellation policy is the same regardless of payment schedule, with 75% of the total rental cost refundable when 30 days or more notice is provided. Within 30 days of check-in, no refunds are given. As booking a vacation home is unique from standard hotel lodging with respect to cancellation, trip insurance may be a good investment to cover unforeseen circumstances.